By registering for the webinar, you are confirming that you agree to the waiver available at the bottom of this page. Jorge Cuadros, OD, PhD has been involved in telemedicine-based eye care since 1994. With a Doctor of Optometry degree from the University of California, Berkeley, and a Ph.D. in Biological and Medical Information Science from the University of California, San Francisco, he offers both clinical and technical expertise in the discipline of telemedicine. He developed several communication programs using digital imaging for clinical diagnosis and distance learning, including programs in India, China, and Latin America. Through his personal efforts and leadership, he developed EyePACS, an open access, license-free system for clinical communication in eye care that has been used for remote care, diabetic eye disease screening, home care, education, and research. Besides directing the system development and implementation, he also established a Virtual Reading Center for the evaluation of retinal images in diabetic patients. Within a three year span, he has led a multi-million dollar grant from the California Health Care Foundation to establish telemedicine-based diabetic retinopathy screening services in over 50 safety net clinics in California. This network is now being extended to other health care settings both in California, other states and internationally. His work is also supported by the National Eye Institute for the validation of new low-cost retinal imaging systems for primary care settings. In the last 10 years, he has given more than 100 lectures domestically and internationally on informatics, telemedicine and diabetic retinopathy. He is also the co-author of an international collaborative book titled Teleophthalmology. He is currently Clinical Professor and Director of Informatics Research at the University of California, Berkeley, School of Optometry. Diabetic retinopathy is the leading cause of blindness among working-age adults in the United States, however, 90% of cases are avoidable. Providers are the key to fighting diabetic retinopathy at the primary care level through screening and diagnosis programs. Timely screening and treatment prevent morbidity, although low follow-up rates remain problematic. In this lecture, we will review primary care focused methods for increasing screening and follow-up for diabetic retinopathy, including patient education, a streamlined referral and scheduling process, telemedicine-based primary care programs, and collaboration between local ophthalmologists, optometrists and primary care providers. This lecture will be conducted as a one-hour live webinar. Registration is free. Participants will submit a survey at the end of the session to claim CME credit. Understand strategies for screening and identification of diabetic retinopathy in primary care settings. 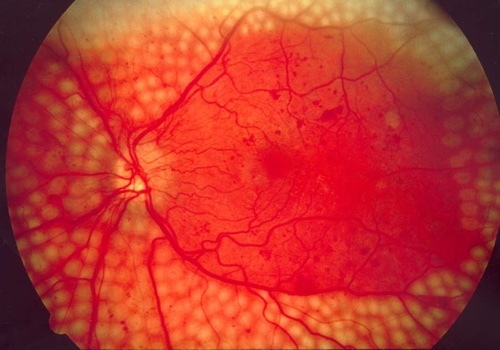 Understand advances in risk stratification, management and treatment of diabetic retinopathy. Use a case-based approach to understanding various modalities of primary care screening, including provider and telemedicine empowered diabetic retinopathy.